Looking to the future, BARE is as committed as ever to pushing diving to greater depths and greater discovery. BARE sweat every detail, developing complex patterns with articulated arms and legs to achieve anatomically correct patterning for a 3D shape, using bias-cut fabrics with inherently more stretch than the alternative, and thoughtfully placing seams that contribute to a snug fit and enhanced aqua dynamics. You trust your suit to keep you safe, warm, and comfortable, and so do they. 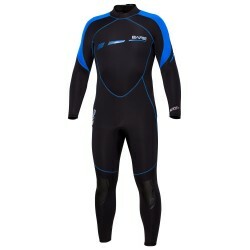 This wetsuit is designed for diving activities offering the freedom and performance of a full stretch suit. Widely considered the best entry level wetsuit on the market, the S-FLEX is made of our proprietary blend of neoprene that provides a generous amount of stretch.